Among the most important rookie cards in all of collecting. 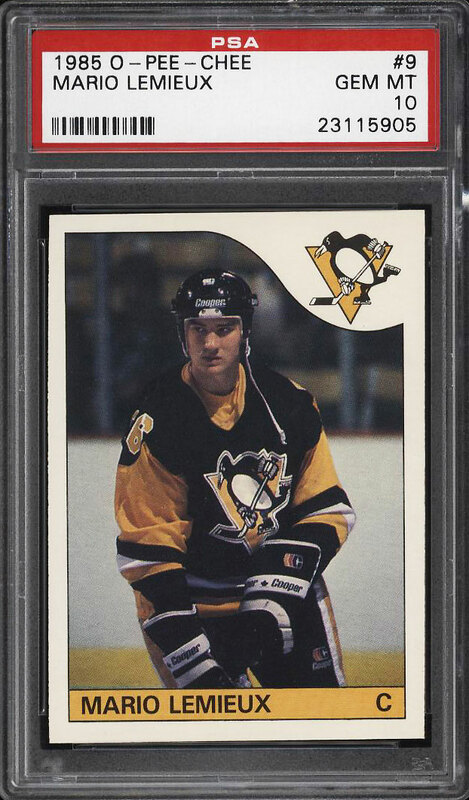 Mario Lemieux is arguably Hockey's greatest all-time talent with his size and skill making him the most feared player in the league at the time. 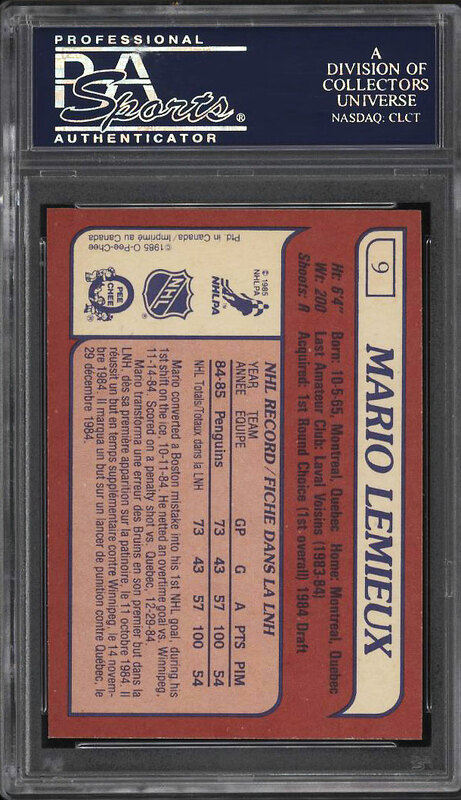 PSA 10, '85 O-Pee-Chee Lemieux rookies represent one of the premier investment cards in the hobby with the demand far exceeding the supply. This card is simply never seen on the public auction block as they have rightly been locked up into premier portfolios. The offered PSA 10 displays undeniable GEM MINT presentation throughout with some of the finest surfaces we've seen on the issue. A completely uncirculated beauty which is virtually flawless from every angle. Don't miss this incredible opportunity. One of over 18,000 cards, lots and sets up for bid in our 6th Auction of 2018. Click on the link above to view the other PWCC auction lots.